By the Grace of God Dad and Mum are very fine, so am i. Thank God during my one month leave in June my Brothers came to visit us and we really had a good time as a family. We continue with Sunday ward outreach, Monday to Thursdays ward follow-ups to new converts, Wednesdays Lunch Hour fellowship with Members of staff and Saturdays Home visitation to discharged patients and their relatives. A woman in ward One ( Female General Ward) who had headache and fever for four days, after giving her life to Jesus Christ she got better and was discharged the following day. 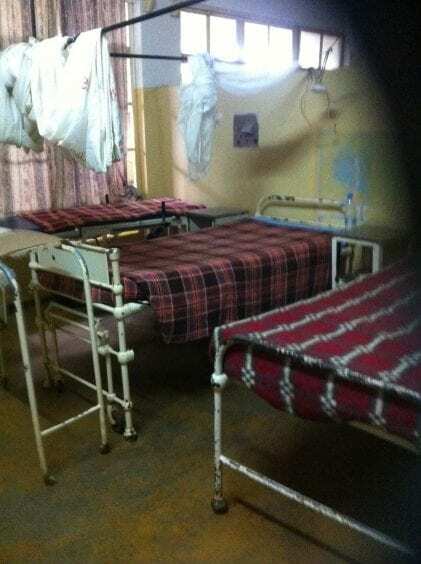 A Mother in ward eight ( Children’s Ward) whose five year old child had fever due to high temperature, after the Mother gave her life to Jesus Christ the child’s temperature normalized and the child was discharged the following day. 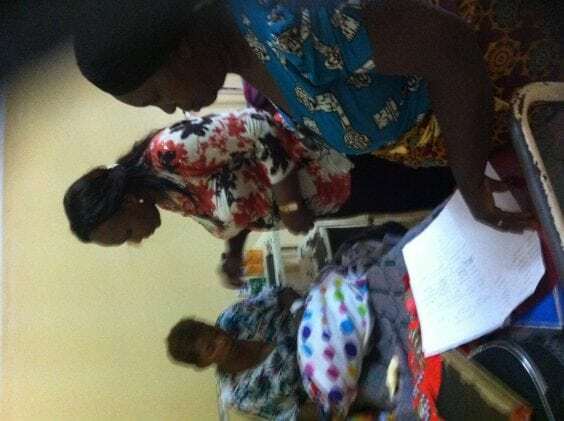 A mother in pre- nursery whose baby was premature after giving her life to Jesus Christ the baby gained weight fast and was discharged earlier than expected. The first picture shows how God has been faithful in answering our prayers in that some of the beds are empty, the second one shows a mother in the above testimony who was one month over due and delivered after giving her life to Jesus Christ with two of the ministry members, sister Sarah and sister Beatrice and the last one shows the mother in the above testimony in pre- nursery ward holding her baby with sister Tamara.